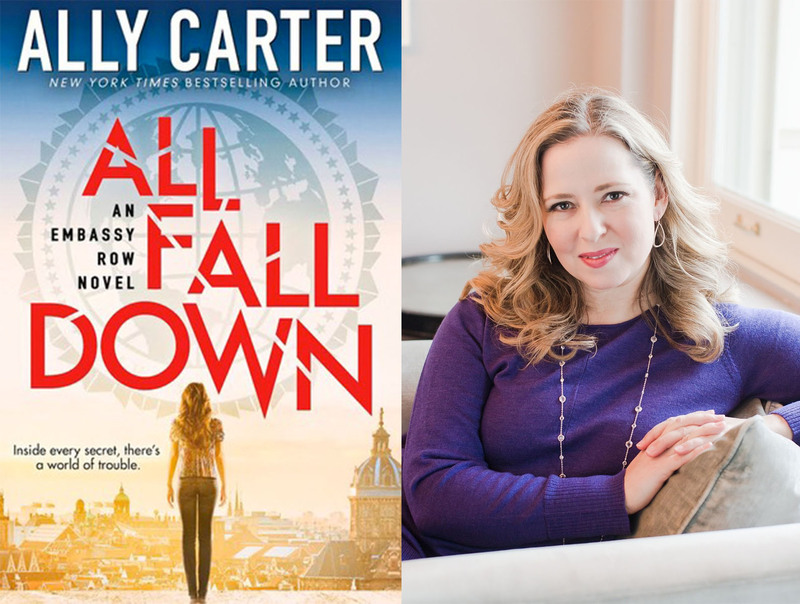 Recently, Ally Carter has participated in a couple twitter chats to promote her new series, Embassy Row, and I thought I’d share with you all of my questions she answered. Ally Carter is the author of I’d Tell You I Love You, But Then I’d Have To Kill You, Heist Society, and All Fall Down. This is the first in a series of author Q&As I’ll be posting. Jordan: Which character are you the most like? Ally Carter: I’m 1/3 Cam, Kat, & Grace. AC: I’m a sucker for a fun crew of sidekicks and heart all of mine. J: Which character do you love to hate? J: Which YA protagonist (from any series) do you think would get along best with Grace? J: Which characters would you want in the trench with you? Left side (strongest), right side (smartest), & behind you (who you trust the most “to have your back”). AC: I think all my characters are pretty good in the trenches! I’d take any of them. J: Did Megan’s mom attend Gallagher? I totally think so even though we’ve met her yet. J: Please tell me there will be more Alexei/Grace in Embassy Row 2. AC: You mean skinny dipping? Because there may be skinny dipping. J: Will you release any deleted scenes from All Fall Down? AC: There are some bonus scenes available now! J: Did you know AFD’s major plot turner from the beginning or was it a surprise that came while writing? J: You’ve said you’d like to write more, but do you have an actual idea/direction for a 4th Heist Society? J: Which book was the hardest to write? AC: Sequels are always the hardest. Always. J: Which cover is your favorite? AC: I kinda love the Aussie All Fall Down. J: Do you watch the 100? J: Were you able to see The DUFF yet? I thought it was super cute & funny! Thanks for answering all my questions, Ally. These twitter chats are always fun. Be sure to check out her new book, All Fall Down, in stores now. I love Ally Carter! Great interview! Thank you! Ally’s one of my favorite authors! It was her books that got reading YA!